Devon Carson, CRNP and Ronald Lutes, D.O. Mon-Vale Health Resources Inc., parent company of Monongahela Valley Hospital and Mon-Vale Specialty Practices, now offers Mon-Vale Nephrology. Long-term medical staff member and Mon Valley resident, Ronald Lutes, D.O., will lead the newly formed specialty practice, along with, Devon Carson, CRNP. Mon-Vale Nephrology will serve the residents of the Mid-Monongahela Valley with the treatment of kidney problems and renal replacement therapy. Dr. Lutes was born and raised in Charleroi. He received his medical degree from Philadelphia College of Osteopathic Medicine where upon graduating, completed his residency. Dr. Lutes returned to western PA where he completed his fellowship in nephrology at the University of Pittsburgh Medical Center Presbyterian. Dr. Lutes is board certified by the American Osteopathic Association in nephrology and internal medicine. "We are so excited to be given this opportunity and to be a part of the Mon-Vale Specialty Practices family," said Dr. Lutes. 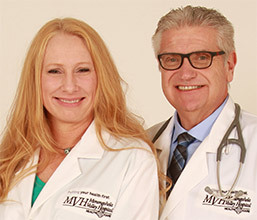 Mon-Vale Nephrology is located in the Spartan Medical Center, the former site of Mon Valley Catholic High School, on Coyle Curtain Road in Carroll Township. Mon-Vale Nephrology is now open and accepting appointments. To schedule an appointment, call 724-483-4083.